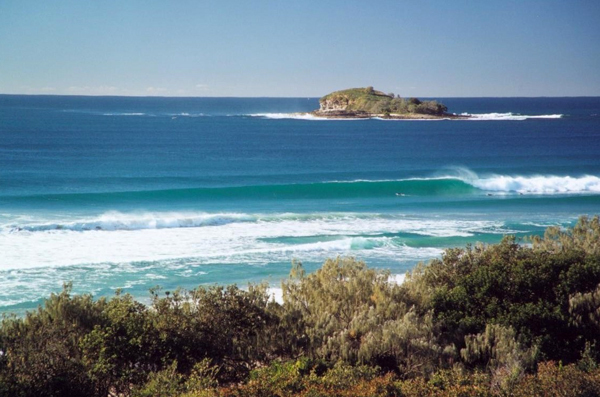 As a very keen, though somewhat talentless young surfer, Mudjimba Beach was one of the places our group would often find ourselves heading off to during the summer months. I am not really sure how we came to find the place initially, it wasn’t exactly mainstream, but it soon became one of our favored weekend destinations. More than likely this was as a result of there not being any of the usual ‘argy-bargy’ from the local surfers ‘sitting out the back’ waiting for the sets to roll in. You know the type, bronzed ripped and ready for a bit of biff, the likes you’d find at the more hard-core surf beaches. Mudjimba on the other hand was a great place to learn without having to endure the ridicule from the more talented locals. I remember it had a great seaside atmosphere too. We’d surf then head across the molten bitumen to the local fish and chip shop. They were truly great, carefree days. Tucked between Coolum and Maroochydore, thankfully Mudjimba today, is still one of the quieter spots along the Sunshine Coast, consisting of a mostly residential strip that’s still home to an absolutely stunning stretch of coastline. 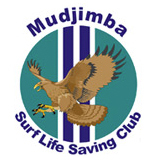 Members of the Mudjimba Surf Club still patrol the beach 365 days of the year so it’s very family friendly. Which reminds me, just over the sand dunes you’ll find a fabulous kids playground with shaded grassed areas and numerous covered barbeques and picnic tables. All the makings of a perfect Saturday afternoon family get together. On the incoming tide you’ll also see many a local fishermen working the numerous rip gutters along the beach. The fishing can be really good along here and the potential stretches right up to Point Arkwright. Where those who prefer the challenge of fishing off the rocks can take their chances. If you have a boat you might also like to drop a line off Old Woman Island, which sits about 1km off the beach. It too has one of the best surf breaks in the region, but you’ll need to be pretty fit to paddle out there. Once a year in a rather unique physical challenge takes place in these parts, people from all walks of life gather together on sand to support the Nambour & Currimundi Special Schools. These extraordinary people then head out through the breakers to swim from Mudjimba Beach, out around Old Woman Island and all the way to Mooloolaba. That’s 11km of swimming on the wrong side of the shark nets! Some take on the challenge individually, but others choose to work in teams to reach their destination. Each year these champions of the ocean raise thousands of dollars in support of these local schools. Way to go guys. IF you think you’re up for the challenge take a look at their website. Across the road from the beach you’ll find the popular Lizard Café Bar, which is a must for one of its big breakfasts. They also serve great coffee and extend a daily happy hour to patrons later in the day. Typically their outdoor terrace is the place to grab a coffee, soak up vitamin D and watch the people go by. Mudjimba Beach is a great place to while away a few hours during summer, it’s quiet, friendly and just a great place to enjoy what we love most about the Sunshine Coast. The lifestyle.